Captain America: Civil War contains just about every living Marvel hero which currently exists in the Marvel Cinematic Universe. Notably absent, of course, are Thor and the Hulk, but also sidelined are all of the characters we've met on Netflix. 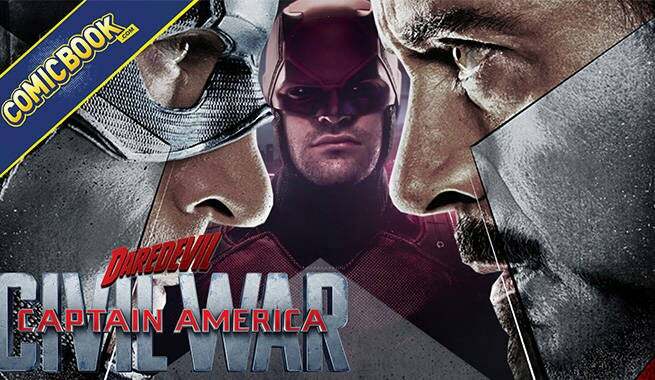 Earlier today, ComicBook.com had the chance to speak with the writers of Captain America: Civil War, Christoper Markus and Stephen McFeely, about some of the process of constructing the massive new film. It turns out, while they always planned on using characters like Ant-Man, Black Panther, and Spider-Man, the Netflix characters were never even in contention. "When we were writing this, there weren't any Netflix characters," says Markus. "Daredevil came out right before we started shooting. So, frankly, no because we can't juggle that." "We had as many characters as we could handle in the movie," added McFeely. "You could tell - it works but it's close. It's busting at the seams. If you had two more people who you had to give four beats to and give them an organic little arc, now you're at three hours. You're taxing my patience." Of course, none of that precludes those characters appearing in Avengers: Infinity War, which the Russo Brothers confirmed will at the very least see Star-Lord crossing over from Guardians of the Galaxy.